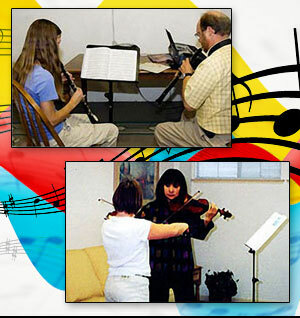 For students interested to register for lessons please contact us to make an appointment for a consultation. 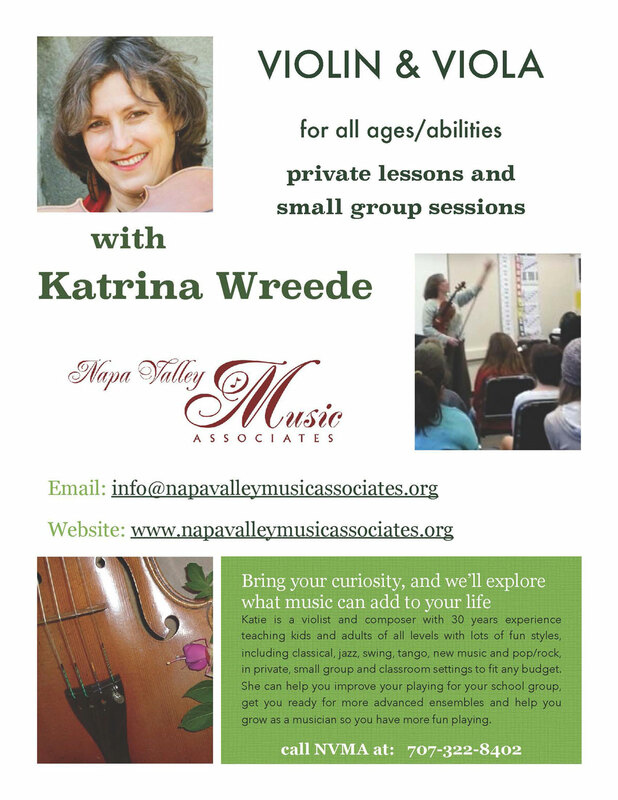 NVMA offers private instruction on all instruments and voice. You may register for (4) 30 minute - (4) 45 minute or (4) 60 minute weekly lessons, plus a one-time $25 Registration Fee due at first lesson. Click the appropriate Pay Pal buttons below or bring a check with completed Registration Form (download) to first lesson. Please contact us with any questions. Please click on the following links to view current class flyers. Sign up today! Explore what music can add to your life! © Copyright 2019 Napa Valley Music Associates. All rights reserved.